Milwaukeeans love brunch so much that we brunch every day of the week. 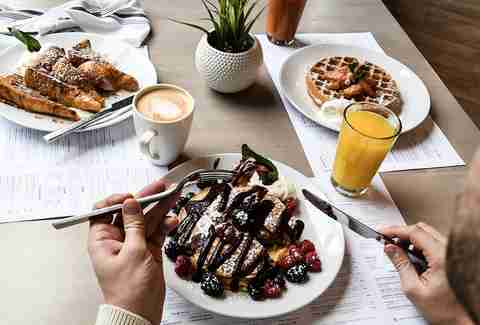 Sure, we might be more inclined to indulge in a few Bloody Marys or mimosas on weekends, but the most popular breakfast-brunch- and lunch-only spots are crowded even during the week -- and the fact that we have so many probably says a lot in itself. With so many brunching options to choose from, we’ve cherry-picked the best of the bunch for you. Sweet Diner adds something different to the mix: a sleek, modern atmosphere complete with white marble tabletops, exposed brick, and an eye-catching centerpiece lighting fixture. 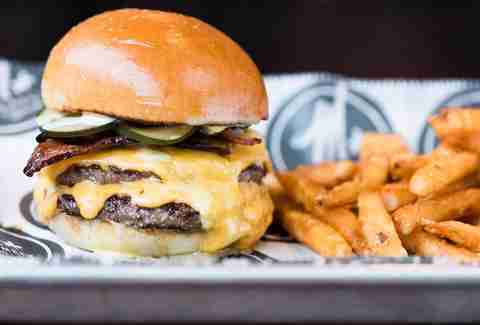 Their menu is equally up-to-date, with cornbread waffles topped with Memphis-style hot fried chicken, chilaquiles with chorizo and corn relish, and a handful of boozy brunch drinks, from a bacon-topped Bloody Bary to a paloma with freshly squeezed grapefruit juice. Mimosa will be busy almost anytime you walk in, and that's a great sign, especially in this south suburban location. The restaurant's owners are Greek, so you'll see hints of that heritage on the menu in items like the huge shrimp, garlic, and lemon omelet. Instead of hash browns, diced potatoes are cooked in olive oil to a deep brown; get them topped with feta, lemon, and bacon, or a Greek yogurt and avocado sauce. You'll want to spread that on everything. The latest hipster hangout is in one of the new North End buildings along the river just north of downtown. 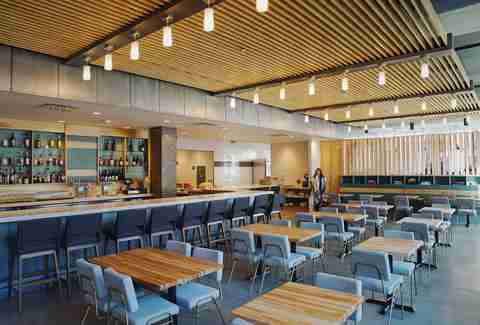 Birch + Butcher is a restaurant, and as the name implies, a butcher shop/deli/cafe combo. On Sundays, the space becomes an inviting spot for a cozy, meat-heavy brunch; hot ham and rolls are a local tradition, but you can try something a little more hearty like the cassoulet with duck, pork, poached egg, and chicken liver mousse. Avocado toast gets a boost from red beets and caraway, while waffles go upscale with trout roe and crème fraîche. 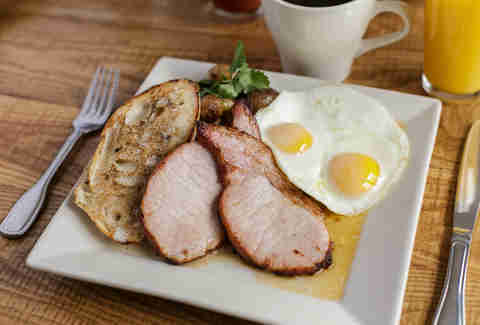 Sabrosa serves breakfast and brunch dishes as cheery as its artistic decor. Years ago, owner Frank Sanchez also owned Taqueria Azteca just down the street, and a few favorite dishes have made the jump to the new spot, like enchiladas verdes; other dishes run the gamut from a shrimp and grits scramble to Frankie's benediction, a Benedict-like stack of French toast, ham, eggs and dijon hollandaise. If you're lucky, you'll visit when Sanchez's partner, Florentine Opera pianist Ruben Piirainen, is playing on the baby grand. Restaurants that are only open until early afternoon mean you can get brunch any day of the week, and that’s a good thing when there’s always a wait on Sundays. This relative newcomer to the brunch scene makes everything from scratch, including Greek yogurt and jams. 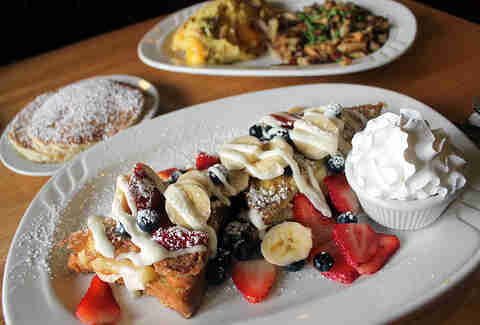 Stuffed French Toast is heavy with Bavarian-custard filling and cream-cheese glaze. Luckily there's some fresh fruit added to offset the gazillion calories. 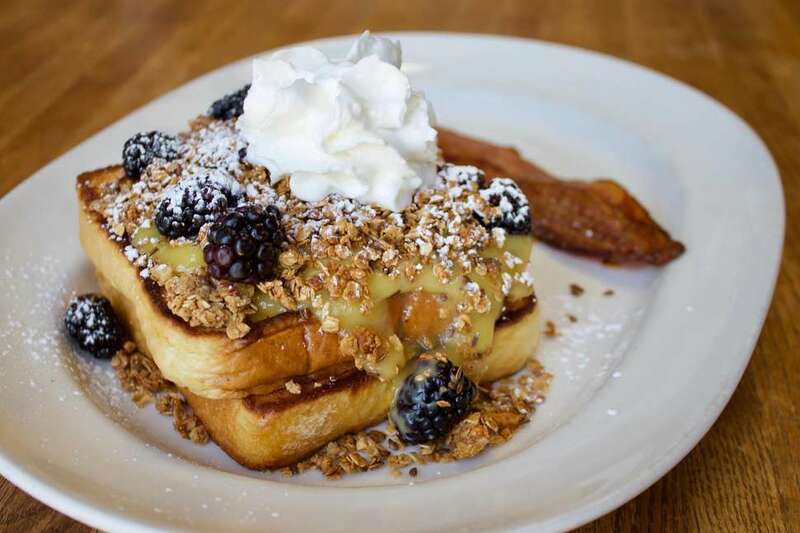 Blue’s has become the default “where should we go for brunch?” place in a city where the meal is taken very seriously, hence the long waits on weekends, and sometimes during the week, too. 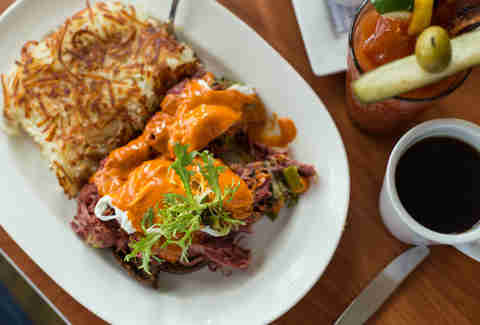 Try the Dubliner, a Benedict-like dish that combines salty corned beef with creamy leeks and paprika aioli on dark rye toast. Take a trip around the world in one spot. Start with a Croque Madame, then hop to Huevos Rancheros, and end across the pond with a full English breakfast of eggs, bacon, mushrooms, tomatoes, potatoes, beans, toast, and bangers. You gotta love that Brits refer to breakfast sausage with an Austin Powers-level sexual innuendo. This place is upscale for dinner, but down-to-earth for brunch. 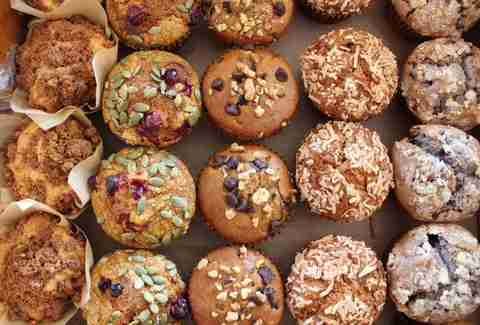 You get the same high-quality ingredients, just during daylight hours. Must-tries are the brunch pizzas; choose from Denver omelette-style with scrambled eggs, bacon, peppers, and cheese; a fancier pie with slow-poached egg, shaved Brussels sprouts, and guanciale; or the sausage-gravy pizza with roasted mushrooms, cheese, and a poached egg. If you haven’t tried eggs on pizza, here’s your chance. 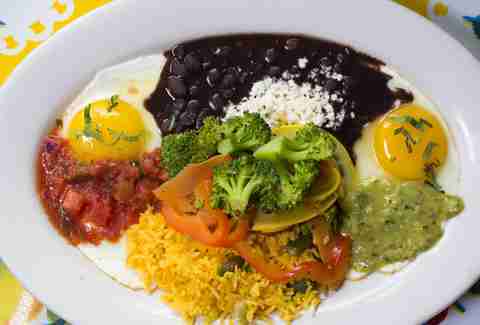 This teeny, quirky Mexican spot has a super-popular brunch with a large menu. You can get chorizo in many glorious forms: in tacos, in burritos, with eggs, on breakfast tostadas, or in empanadas. If you don’t like chorizo, how about carnitas in your chilaquiles or carne mechada in your empanadas? 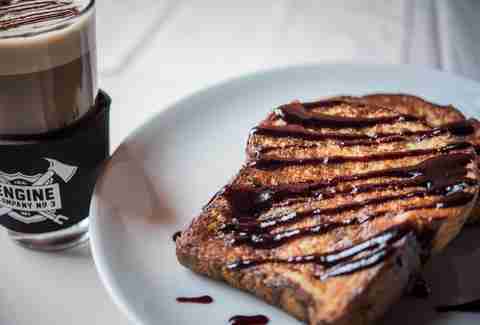 If you’re still not on board, there’s always Rumchata French Toast. BKC stands for bottle, kitchen, and cup, and it sells retail wine and beer while also operating a coffee bar and an all-day restaurant. Brunch is served every day and includes some unique options like Shakshouka, a Middle Eastern dish of eggs baked in a tomato and pepper sauce that includes lentils and goat cheese. To satisfy a sweet tooth, there’s always the Chocolate Caramel Nut Roll. If it's good enough for Obama, it's good enough for you: The former President stopped here in 2016 with only 30 minutes notice to the staff. What'd he order from the globally inspired menu? Columbian patacon con huevo with smashed plantains, bright green cilantro rice, beans, and a fried egg. You can’t go wrong by ordering the same, but if you're really lucky, you'll dine on a day when poutine is on special. While Merriment Social will always serve an eclectic menu of small plates, dim sum, and international entrees, it’s smartly shifted its focus to the super-popular burger portion of the menu (which includes brunch, because burgers are delicious at all times of day). Take your pick from five burgers, chicken & waffles, breakfast sausage potstickers, or duck confit hash. 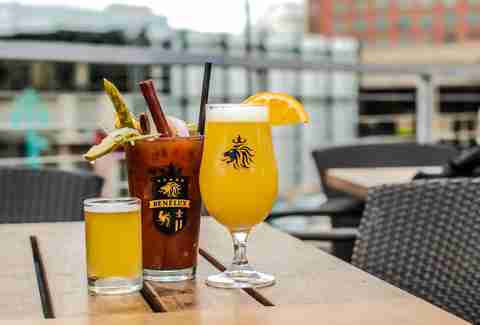 It's a poorly kept secret that brunch is the best meal at Cafe Benelux -- unless you're talking about happy hour, in which case the massive beer selection pulls rank. Still, beverages reign supreme at brunch too: The four bloody mary variations are some of the best in the city. Enjoy one on the rooftop patio along with bananas Foster liege waffles, fried chicken and biscuits, or well-done frites. 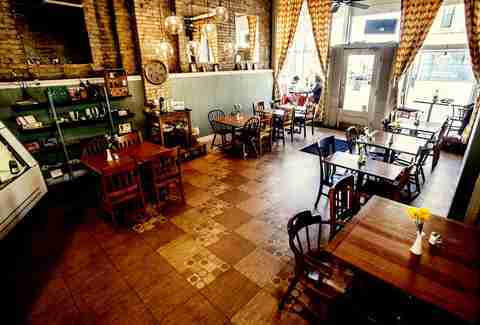 This adorable & popular bohemian spot continues its small plate menu format for Sunday brunch. You'll find some of the most unique dishes around, like a croque madame made with polenta cakes instead of bread, falafel waffles, and bacon and cheddar risotto. Goodkind also creates some of the best cocktails in the city, so don't pass up its versions of a corpse reviver or gimlet. 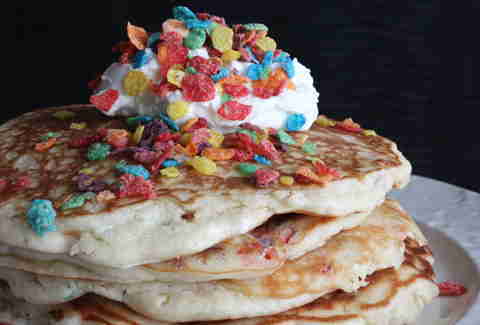 We’re not really sure how fruity pebble pancakes are Spanish, but then again, we don't really care. Located inside the tiny Hotel Madrid, Bodegon serves up an expensive Spanish menu at dinner, but a playful, affordable brunch. On the sweet side, try peanut butter and rhubarb jelly French toast, or stay savory with a Spanish riff on biscuits and gravy made with chorizo and wild leek marmalade. Wash it down with "adult fruit punch," aka fruit-filled sangria. Lacey Muszynski is a Milwaukee food writer who would brunch more often if only she could get out of bed earlier. Follow her on Twitter @worthhersalt.